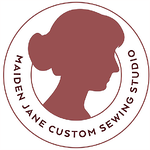 This week, we’re interviewing Jane Skoch, the custom sewing and quilting enthusiast behind Maiden Jane Custom Sewing Studio. Jane’s projects combine up-cycled fabrics like old shirts or baby clothes with new materials to turn precious memories into something practical and pretty. She uses a variety of sewing notions, rotary cutters, her sewing machine, and quality fabrics to make quilts, pillows, ornaments, and more. 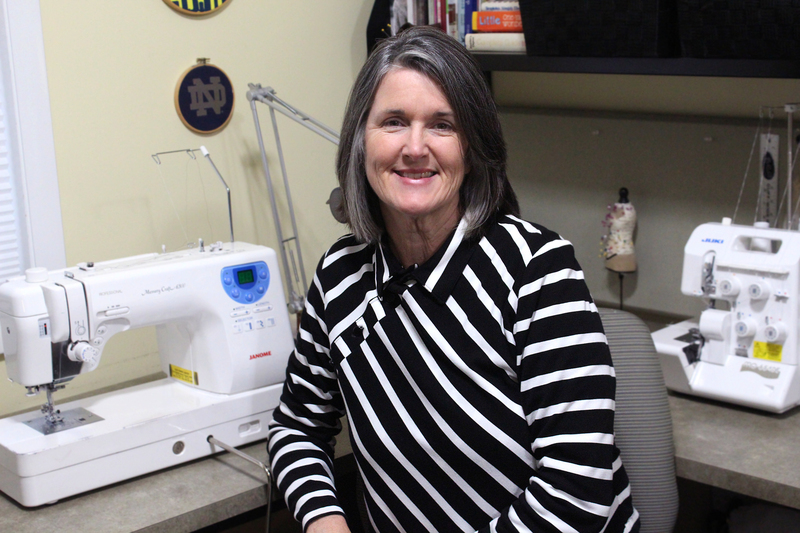 If your brand markets to makers who sew, this 1-on-1 interview with Jane will give you some important insights to help you connect with makers like her. 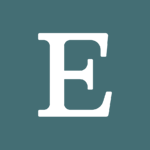 My name is Jane Skoch, and I started my Etsy shop in 2009. So it's almost 10 years old. I was sewing as a hobby—I’ve been sewing as a hobby for about 26 years. Although, by machine I should say. I got my first sewing machine about 26 years ago. I was always sewing as even a young girl. So I loved working with my hands. My mom helped facilitate that by just buying me crafts and kits. She didn't sew, she didn't do any crafts or anything like that. There was something I gravitated towards when I was very young, and I learned to knit and crochet from my girlfriend's grandma that lived behind my house and so kind of rediscovered all of those later in life. But when I got my first sewing machine, I enjoyed making clothes for myself, for my kids. It was a hobby that I really enjoyed. And I loved to make gifts. 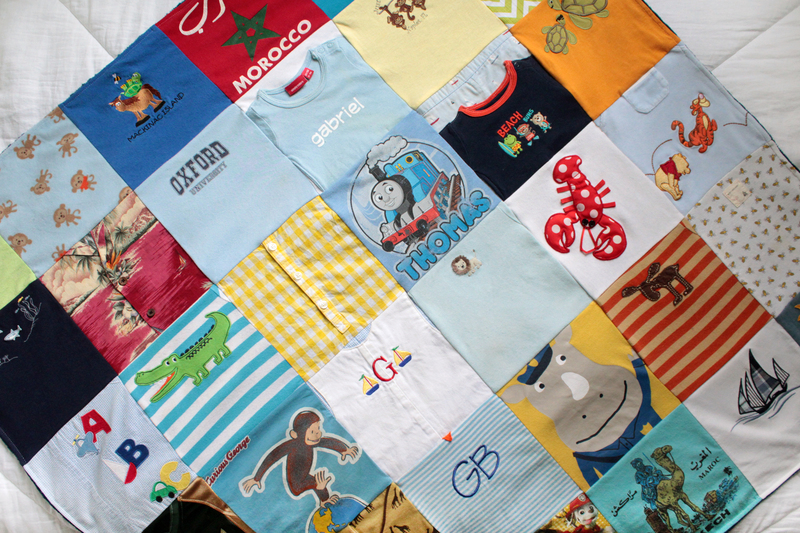 I came across an idea for a T-shirt quilt and I started doing that for my nieces and nephews as graduation presents. At the time my kids were entering school and I was looking for some part time work; I was doing some substitute teaching, but I then I saw an ad in the newspaper for an online fabric company called Contemporary Cloth. And she's still on Etsy I believe, but she's downsized quite a bit. So I just worked for her, just cutting and fulfilling orders. But I learned a little bit about an online business and showed her some of the things I've made, and she encouraged me to start an Etsy, which I did. I made some products like aprons and headbands. Eventually the things that I started getting asked to make consumed all my time so that I really don't have finished products to sell. So now if I get a request, I take a picture of it, put it on my website, and put it out there. If somebody else wants it, now I have that idea there. So it's gone from T-shirt quilts to baby clothes quilts to random PJs; quilts out of all of those. Memory pillows, teddy bears, purses, towels. 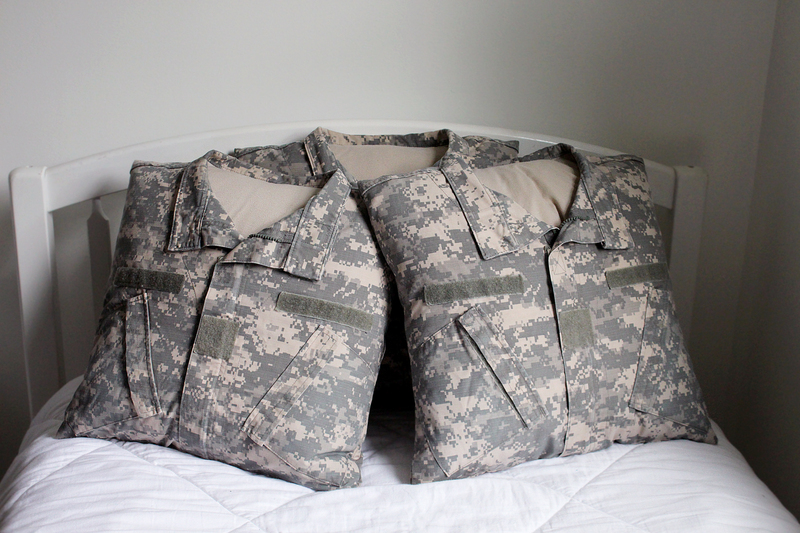 I've made things out of army combat uniforms. 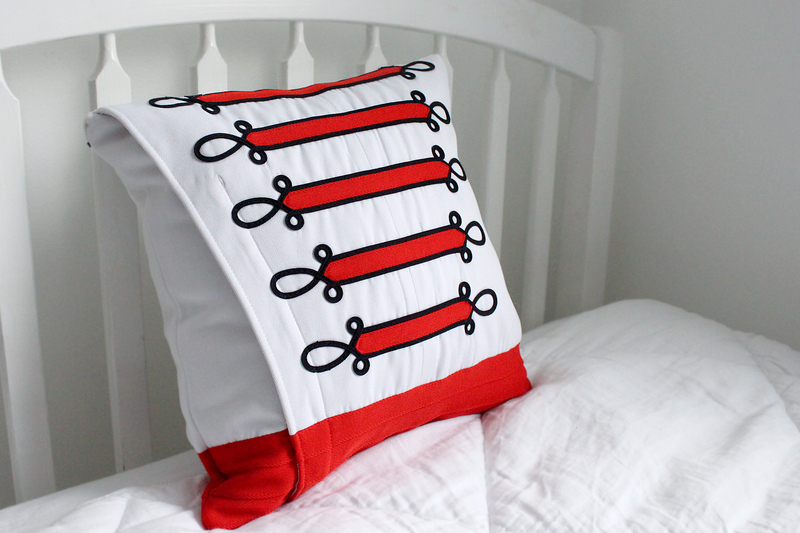 Cheerleading and band uniforms now, pillows for them. What kinds of products and materials do you have to buy to make your finished product? Certainly all the basics of thread in a variety of colors, and I go through a lot of rotary cutting blades because I'm cutting through T-shirts, baby clothes, and all kinds of different fabrics. I'm always buying rotary blades. My cutter is Olfa brand, although they are interchangeable. There's another brand called Fiskars. I find, it seems I've tried titanium ones, I've tried all these different quality brands, and it seems like I just wear through them frequently. For my last purchase I bought on Amazon, and I can't even tell you the brands off hand. I just thought I may as well try something cheaper. For the quilts, I make what really is called a quilt blanket. 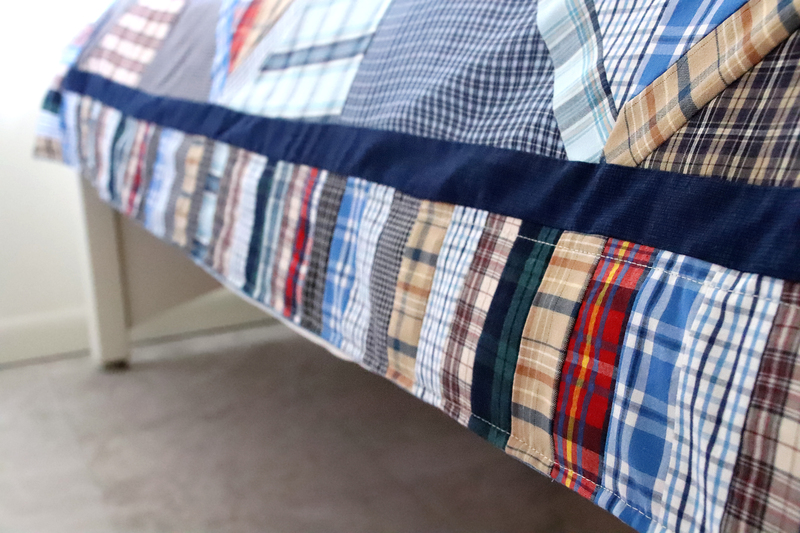 A traditional quilt is top layer, a middle layer of batting and then a backing layer, which was typically a cotton. And I can make those, sometimes I'll do that with certain baby quilts that I make for people but when I use the clothing, I eliminate the batting and I sew the quilting top directly to a soft fabric backing. How and where do you refer to shop for supplies? I buy everything for each customer from a supplier, and I'll try to batch those. If I'm ordering from an online company so, I can get free shipping. If it's local, if I just go to JoAnn’s, I will just go and buy it. It depends on what the people want. A lot of these people for these baby blankets, they want Minky, and I prefer the Minky brand which I buy online. If it's some other types of fleeces, then I go to JoAnn's and buy in person. I buy some online and some in store. Sometimes I'll send my customers the direct link, and I'll let them sort through color or fabric places. I get them started. Other times the customers, they don't have the time. So I'll pick out one or two and I'll give them those options and they select one. What factors affect which brands and products you decide to buy? I guess certainly past experience. 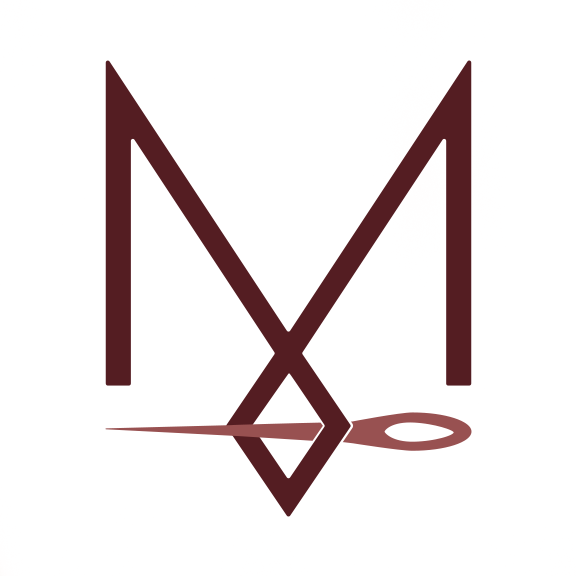 So for example, this Minky brand, it's a specific brand of fabric. When my kids were little, we had like a flannel blanket or a quilt. Nowadays you see all these fancy blankets that kids have, and they have little dots on them. They're super soft. They're polyester. Minky is sort of a new product in the past 20 years maybe. So the varieties in this fabric are tons of different textures and embossed designs. So some actually could be more for adults. Some are a little more youthful. But because my customers started asking for that specifically, and there's a huge variety. I certainly buy those online because I don't feel JoAnn's comparable fabric has the same quality. So past experience and reputation are key. The cost usually doesn't affect it. Sometimes my customers will notice, and they'll say, "Well this fabric you suggested is more expensive." I don't adjust for that. It's just kind of baked in. 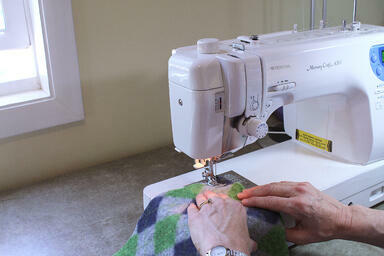 How did you learn to sew and make quilts? What resources helped you learn the most? I taught myself pretty much everything. When I very first started, my mother-in-law helped with a few problems that I had. But I would get books from the library, and then I started my own personal library of sewing books. I went to and took a few classes at the sewing expo at the IX center, and they have classes and vendors at that. This was all before I think YouTube videos were popular. So I was mostly just self taught and following patterns. I’ve always said it's not rocket science, I'm just following instructions. How do you learn more about sewing today? I still have a set of books that are really handy, especially for variations in home decor type things. And there's a set of books, I bought them at Marc's years ago, but they're made by Singer. And I kept those books because I've used them as resources for quite of lot of pillows and tablecloths, things like that. Definitely websites too: Pinterest and then a lot of blogs. Blogs were really popular when I was starting out. 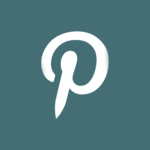 There were a lot of big sewing blogs, and all of that has kind of shifted now that there's other social media. But they were definitely something you could find an instruction on how to do something. Do you watch sewing videos on YouTube? I watch some sewing YouTube videos, but I don't like them. I do recall there's a video on how to attach a binding to a quilt, and since I don't do that all the time, I need to refresh my mind when I do it and I'll go back to the video. If there's not tutorial options then I'll watch the video. But I just am impatient with videos because I have to sit through things that I already know to get to the thing I don't know. And I think that's interesting too because since I use a pattern, a lot at the time. That makes sense that I would wanna read instructions and have it laid out like that. Somebody who maybe taught themselves using videos would use more videos. So I think that's really interesting. How do you evaluate a product you’ve never used before to decide if you want to try it? I'll look at reviews, although sometimes they're not on there. But I think I would look for information in some kind of a sewing circle. I currently belong to at least one sewing group on Facebook. And I might post a question about a specific product there, so that I feel like I'm getting a little bit more real world advice. But I would probably also do a general search, and then try to look for some maybe influential bloggers that might have an opinion on it. There's one other website that is not the best designed website. It's called Pattern Review. And that would be more for personal sewing projects. But at least it's a nice place you could go and see what people have done with a pattern so you could see a finished product of different sewing patterns on different people. And they also have forums, and I've gone to them with specific questions about a certain sewing machine or a certain technique. I guess that was the Pattern Review forums might be another resource that I've used occasionally. The opinions of other makers mean a lot to me. And if I could turn to somebody local before, I might just directly reach out to somebody, like Linda Lackey from Linda's Other Life. I had a question about getting a bigger embroidery machine you know? I would probably only talk to her 'cause I can see that she has a lot of experience and she has probably purchased multiple machines. So I think definitely if you're in a network of makers I would also reach out if I knew that they had experience with a product. I’m most active on Instagram. I try to just post once a day. And occasionally I'll do stories. I'm always amazed anybody watches them, since my life is really boring. It's like who's life is more boring than mine that they're looking at what I'm posting? So it's always kind of a fine line of what to share and yet I still want to share some personal things 'cause each group has different people listening or watching. But I am my brand, so I feel you know it's hard to separate me the person from me the brand or me the sewer. So I think most of my followers are okay with that kind of stuff. I follow a lot of knitters, and knitting is like my a hobby. But the whole knitting world, they take such beautiful pictures; and those pictures of yarn you know? So silly. I follow seamstresses that do a lot of fashion sewing. And again, that would be more on the hobby line for me. I follow some quilters, and I follow brands that I'm interested in: fashion brands, product brands. I follow some bloggers, and some have been customers. I'm on a fine line about following my customers back. Sometimes I do, and sometimes I don't. I follow the big stores like JoAnn’s and Fabrics.com. I follow Pillow Cubes because I buy their pillow inserts. And I try to tag those companies when I'm showing one of their products in a photo. 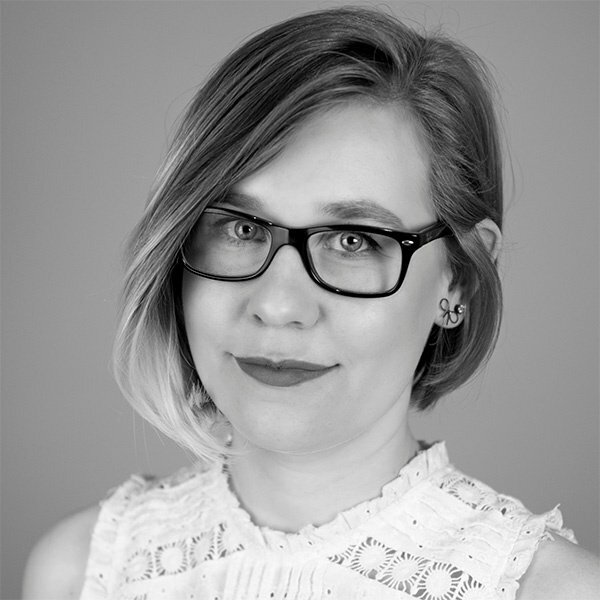 What is the value for you in following those sewing bloggers? For example, Maureen Cracknell was one of the ones I’ve followed since back in the day. She was a quilter, and she's an artist, and her designs were always really colorful. And she was everything I wasn't in terms of what she created. I just loved her artistic creations. And then I just recently rediscovered her on Instagram. 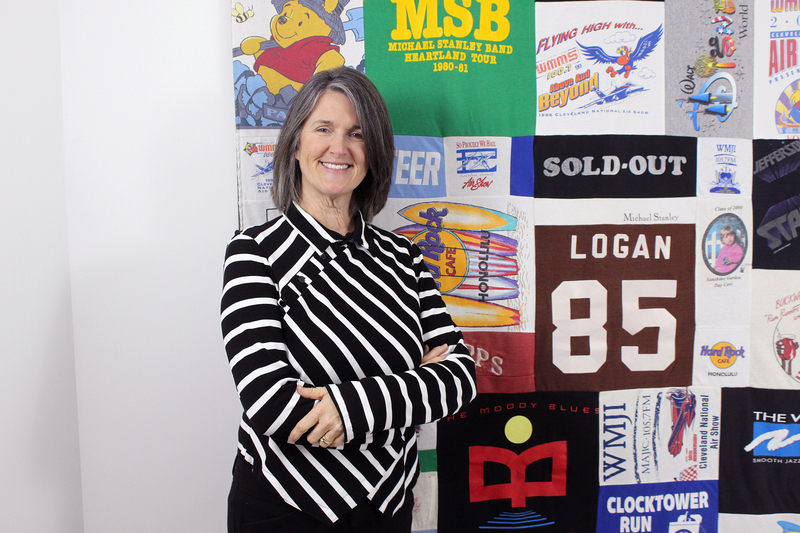 In the last five years, she's now gone from being a quilter to designing. She's got her own fabric line, represented by one of the big companies. It's been interesting to watch her career. And I just think she's done it well in terms of just how she transitioned and got big in that way. But she's somebody who designed fabric and designed patterns. She has a large following because of that. Not so much that I relate, because I see some people as real big influencers. I'll never be that because I'm not selling really patterns. But what I admire is her overall aesthetic, and how her blog was designed. And it's like the presentation of herself and of her products. Where do you get inspiration for the projects you sew? I might get inspired by a blogger to try a personal project. I might see a pillow or something. And if it's not some exclusive unique idea I might pin that idea. Or even if somebody shared a tutorial, I'll pin that and that goes on my idea board. So if a customer says, “Hey I have this shirt what could I make out of it?” I'll just send them to that board, and I can make a pillow. I definitely use the inspiration of other people. And sometimes I just need to have a creative break that's outside of what I enjoy. Everything that I create is for my customers, but sometimes you need sort of like a personal project or something that takes you out of your usual realm into something a little bit different. I feel like that refreshes your own creativity and energy. Maureen Cracknell would create images with stitches, kind of like a line drawing but with machine stitches. It's been on my list of things. I want to try to create something that's more of a picture with messages. I only poke around as needed. I don't look around a whole lot. Except that Google searches, it seems like the first four or five hits now are Pinterest and that kind of frustrates me. It's usually when I’m searching for how to make something, so I go to Pinterest. Which I don't mind doing, but then sometimes then the link going back to the original doesn't work. But on the other hand, Pinterest drives a lot of traffic to my website. So I definitely want to try the continue to use it. But a lot of it is just my own personal idea boards. I just put ideas on my that would make a neat gift. Or this is something for the house. What types of social media posts from people or brands you follow are most engaging or memorable to you? I was just looking at some of the things I pinned. Like I got the, from Lion Brand Yarns; I'm on their email list and they sent some items that were 78% off or something. So just yesterday I think, and I pinned the Martha Stewart loom. A little weaving loom. And I thought it was really neat, and something maybe my husband can do as a hobby. And I just kind of pinned it on gift ideas. Project ideas definitely will make me stop and say, “Wow.” And they might be worthy of saving. Sometimes, I get caught by the sponsored ads, or because I follow Ralph Lauren, and I see this beautiful dramatic dress that I probably would never wear but I think it's fabulous. But again, those interests are mixed in with the travel photos and the food photos. It's hard for things to jump out I guess. I guess in a way I'm admiring the beauty in somebody else's creation. And that also, you know what somebody can do if they do it without a pattern. Say they designed a dress by pinning and draping you know? That's fascinating because I can't do that. But those kinds of things will stop me. What’s your main motivation to continue to sew? It's many things. It's absolutely working with my hands. I just love the feeling. It's such a weird thing to describe. I haven't tried to do so very often. So I enjoy it for the sake that things are passing through my hand. Just feeling it, moving things and making something bigger out of smaller pieces and parts. That's just sort of an innate source of satisfaction to me as a maker. It also affords me flexibility because I work in a home studio. I can work on my own schedule. So that could be late at night if I had to do something during the day. I like the flexibility that it offers. At my age, and my husband and I; we're talking about the retirement years coming along. And I feel this is something I can continue to do in my retirement years, which I think would be great. Many times, I have it as a hobby anyway. If I'm blessed with having customers, and I have the option to maybe scale back a little bit, I could also have that as a source of income that could maybe enable me to pay for travel. It's something that as long as my mind and body are capable that I could continue to do both as a business and a hobby, to some degree into my retirement years. A year or so ago, I made these angel ornaments for a customer. I found the idea on a blog, just a free pattern. And I just put my twist on it, which was to use clothing from a client, integrated so that the fabric, say for example it's a button down plaid shirt, I use a circle of that fabric. I follow the whole little pattern on this website. I can embroider the person's name on it, but there's a lot of hand work involved. It creates a very cute little ornament. So that gets real popular at this time of year. That's probably one of the newer things that's taken off in the past couple years. It's hard to time everything because my quilts are kind of my long term background projects. But then I like to leave some time open for say pillows that come in and I'll turn those around a little more quickly. Then I know at Christmas time I'm gonna get these requests for angels. It takes planning a little bit of guess work to figure out how to know when to say I can't do anymore and to say no. I still have people asking me if I can get a quilt done by Christmas. It's a month and a half away, so I have no problem saying no to that. 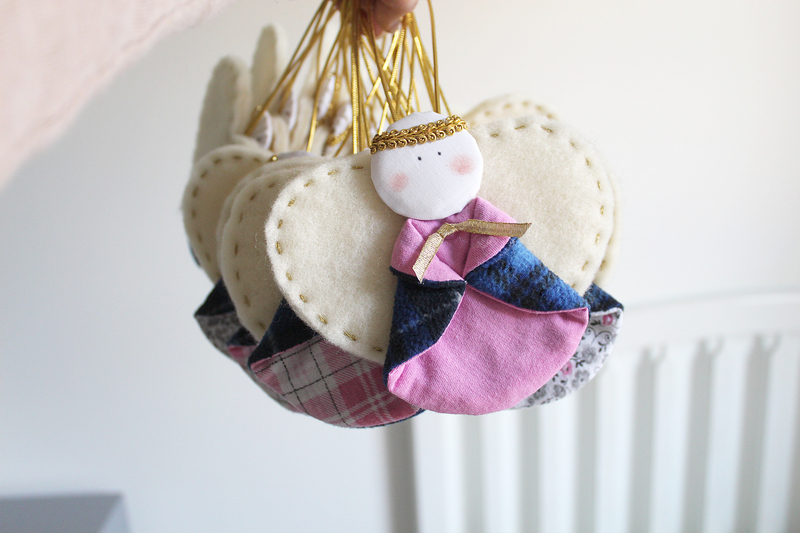 But there's some other projects that I can squeeze in, like these little angel ornaments. And then sometimes I wish I was designing a special bag or something. But I just don't have the time because of all the other projects. So when I do get a request of something a little different, I do jump on that, because it just gives me opportunity to create something different, and then again I can photograph and put it on my website. And then possibly do more down the road. What is the most rewarding part of your sewing work? I think the most rewarding part is taking things that represent loved ones, who could be living or deceased, because you know I do make these baby blankets and they're honestly more for the moms as their babies pass into either young childhood or moms that have kept clothes for 20-some years. They've pulled them out of the basement and they've sent them to me. I'll make a quilt out of it, and they give them to their kids to hold on to for maybe when they have their own kids, or strictly is just a memory piece for them to have. I like making functional things, but I like art for art’s sake too. So taking that bag of clothes again that's sitting in a closet and turning them into a cozy blanket means those clothing items bring back an instant memory of a loved one. Also again, I've received such gratifying notes from my customers. They're so thankful and many of them always say that I have a gift and a talent. And they call me an artist. That to me just is amazing 'cause I don't view myself as an artist. So that's a selfishly satisfying part of it. When they can tell me what I've created not only means something to them, but is a work of art to them. I just find that very, very rewarding.